Nvidia deals in programmable graphics-processor technologies. Its major business segments are graphics processing units, media and communications processors, and handheld and consumer electronics. 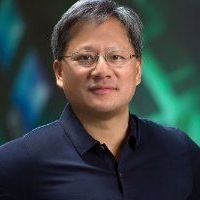 The Fool has written over 2000 articles on NVIDIA. The company’s price-boosting strategy comes to the low end of the market. Tesla and NVIDIA are racing towards a self-driving-vehicle future -- but their paths have now diverged. Find out who the winner is in this showdown between two chipmakers that are dominating their industries but facing different fortunes. The market liked the graphics chip specialist's big acquisition news. Don't be surprised at the winner of this showdown. The deal boosts the growth potential of the artificial intelligence player's self-driving vehicle business. Both NVIDIA and Caterpillar are looking weaker, at least in part due to the Chinese economic deceleration. The graphics chip specialist lowered its outlook ahead of next month's quarterly report. The crypto hangover is lingering. Lower crypto demand threw a wrecking ball into NVIDIA's near-term outlook. The market continues to digest abysmal guidance from the graphics chip leader. The company is stuck with $1.4 billion of unsold inventories due to the fading cryptocurrency mining craze. Investors turned cautious following concerns of a chip industry slowdown. Shares of the graphics chip specialist continue their remarkable rise. Here's what investors should know. Never mind the fading cryptocurrency trend, the graphics-chip veteran is exploring plenty of other high-growth markets. A 38% share price gain in May got the ball rolling. NVDA earnings call for the period ending October 31, 2018. NVDA earnings call for the period ending April 29, 2018. Industry, sector and description for NVIDIA.